Humble bundle has, as always, several bundles going. Their newest one is a Star Trek comics bundle! 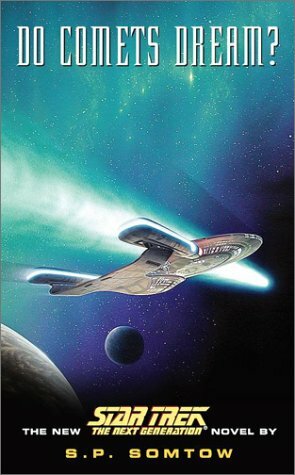 It has new IDW comics, with plenty of TNG stories, some Discovery, and a lot of original Trek. For couple of hours more, Humble Bundle also has another comics bundle with lots of first volumes to series, like Monstress and Saga. The only author I’ve read is R. A. MacAvoy (her Damiano trilogy and Tea with the Black Dragon which I quite liked) and I’ve heard good things about some of the others. S. P. Somtow: Do Comets Dream? 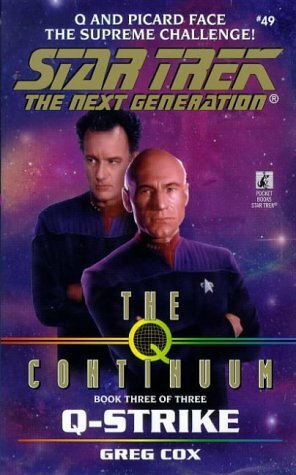 A Star Trek: the Next Generation novel. Enterprise-D has been sent to the planet Thanet. It has only recently developed warp drive and it’s not a member of the Federation. Indeed, it’s dominant culture didn’t recognize species from different worlds until recently. That same culture “knows” that time is cyclical; every five thousand years the culture will be destroyed and then rise again, exactly the same. And a comet is speeding towards Thanet. The Enterprise can easily destroy it. The question is, should it? That will destroy the culture anyway. Starfleet has left the decision to Captain Picard. Things get even more complicated, when Troi senses someone is alive inside the comet. Also, the holy book of Thanetians tells that false prophets will emerge right before the end of the world. So, the god-king of Thanet doesn’t go to the Enterprise himself but instead sends one of his undersecretaries as an ambassador. While the new ambassador has sometimes been less than pious, he thinks that the Enterprise’s crew are false prophets trying to lure him to heresy. This is a story of cultures clashing. Federation’s culture is accommodating to others and their beliefs. Unfortunately, the Thanetians’ culture is the opposite. It’s very rigid with seventeen castes and hundreds of sub-castes, rigorous differences between genders and sub-castes. Each sub-caste can eat only specific foods and wear specific clothing. Each sub-caste has only specific vocations open to them. For example, some people are born as beggars or prostitutes and nothing can change that. Yet, all share the belief in the cyclical nature of time and almost everyone is looking forward to the end of the world because that’s how they’ve been brought up. They also have very strict heresy laws and execute people who break them by behavior or speech. The book has many POV character. In addition to Picard, Troi, and Data, there are several Thanetians. Lieutenant Simon Tarses is another major POV character. He’s ¼ Romulan from the episode “The Drumhead” from the fourth season. He feels like an outsider on the Enterprise and when he meets the Thanetian ambassador’s teenaged daughter, he’s strongly attracted to her. Another new POV character is acting ensign Tormord Engvig who is aboard the Enterprise because he won an essay contest. He hero worships the crew which is rather fun. The story is heavily focused on Thanetian culture and some of the characters from it. Unfortunately, their culture wasn’t very interesting to me. We find out the history of Thanet and their ancestors’ war. Unfortunately, it also left quite large questions unanswered. 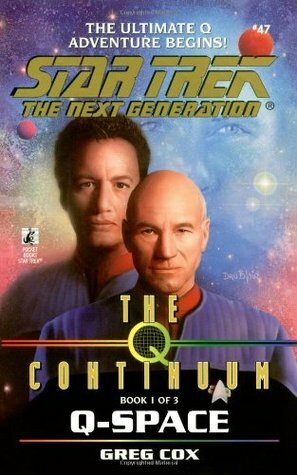 The dilemma of if Picard should allow the Thanetians to be destroyed because saving them would bring chaos to the planet, anyway, was actually pretty interesting. However, the population at large aren’t told about the choice; it rests on Picard’s shoulders. 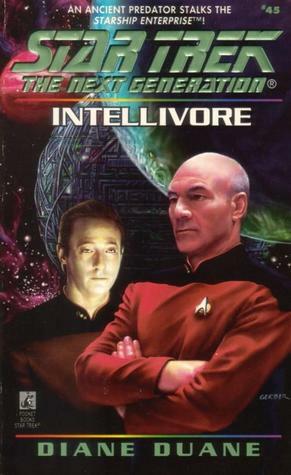 This is a quick read for TNG fans. 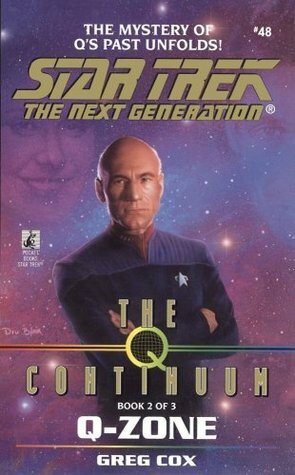 The 45th Star Trek: TNG book. Marignano is a long-range exploration ship and captain Ileen Maisel loves to explore outside Federation’s borders. She’s used to being on her own, a long way from backup in the fringes of the Orion arm. Now, however, she’s noticed colony ships and other starships disappearing more frequently than usual and when she realized that her one ship can’t stop it, she called for backup. Starfleet has sent the Enterprise and another starship, Oraidhe, captained by Gohod Clif, a joined Trill. Picard is in command of the operation but of course he’s very courteous to the other captains. The captains plan to investigate together at first and then separate, if necessary. They run into interesting new (at least to me) cultures while evidence mounts that something really dangerous is stalking whole starships. The new cultures include the Third Submission colony ship which doesn’t want anything to do with the Federation ships. They consider life an anathema and are just waiting to die quietly. Another new culture is the Lalairu, who are wandering traders. When they die, they regenerate again. They must have a fascinating society, but we saw them only in passing. Picard is the major POV character while Dr. Crusher and Data get to shine, too. Ileen Maisel seems younger in her personality than her years: she’s very enthusiastic about her job. Clif is a more thoughtful person but of course the Trill has lived a couple of more lifetimes than the others. 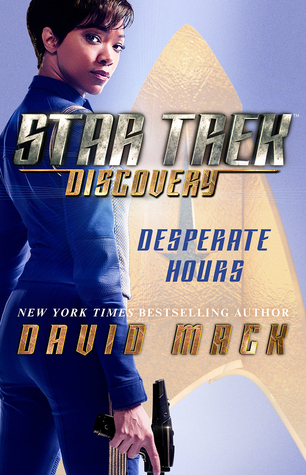 This is another Trek book more focused on exploration than conflict or battles. Duane also uses the holodeck a lot with Picard and the other captains talking in a seafaring vessel. I enjoyed the book a lot but it’s not terribly fast-paced.